Formed in 1939 SS-Polizei Division were not considered initially as an SS fighting force, and this status was reflected in the quality of the equipment they were issued. Following operations in France, Greece and then Russia, it was not until 1942 the division was transferred to the Waffen-SS, and eventually upgraded to a Panzergrenadier division, the 4th SS-Polizei-Panzergrenadier Division. 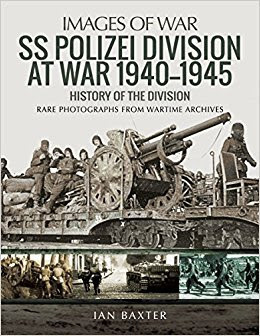 The book describes how the SS-Polizei Division fought across the Low Countries, the Eastern Front, before deploying to the Balkans and Greece where it committed numerous atrocities. During the last days of the War it was assigned to Army Detachment Steiner defending Berlin where many soldiers fought to the death. This book is a unique glimpse into one of the most infamous fighting machines in World War Two and a great addition to any reader interested Waffen-SS history.